Mobile Food Truck arrives in ONE week! 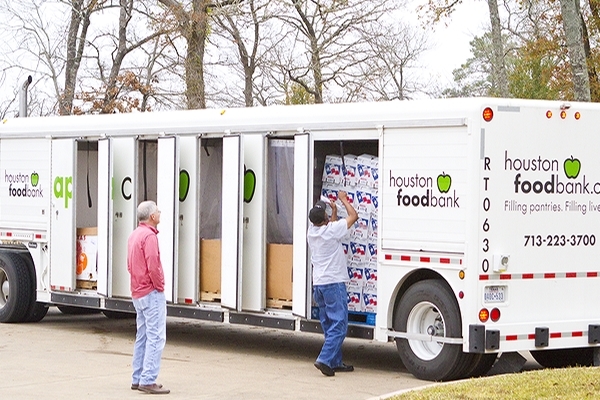 Only 1 week until the Mobile Food Truck from the Houston Food Bank is returning to town. 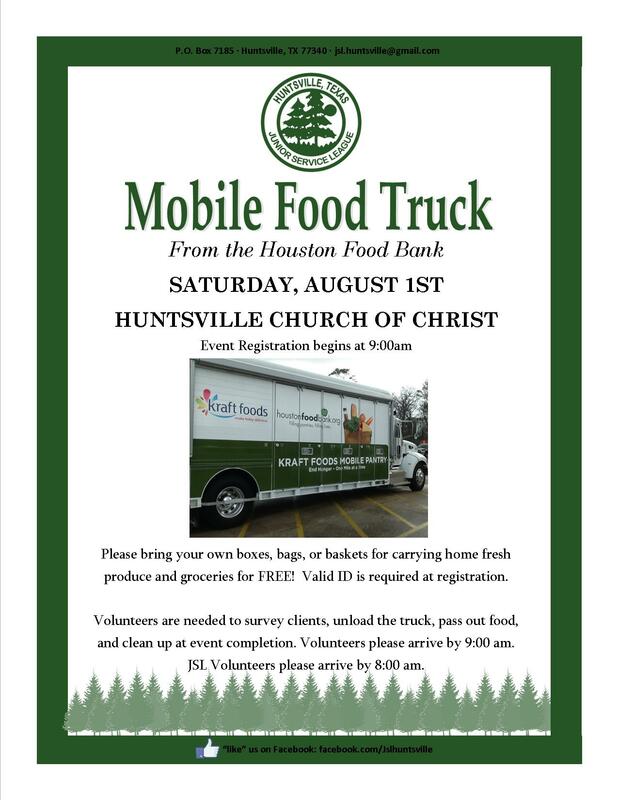 Join JSL in serving our community next Saturday, August 1st. Come serve alongside community members to give back to those who are less fortunate. The food truck will arrive sometime after 9:00 and the food will be distributed as soon as we can unload the pallets. Volunteers for the food truck should arrive at 8:30. More details to come soon!